We begin the story of Croatia saying that at one time the Roman province of Pannonia, was inhabited in the seventh century by the Croats. They were converted to Christianity between the ages 7 and 9 and adopted the Roman alphabet under the suzerainty of Charlemagne. Continuing the story of Croatia we can say that in 925, the Croats defeated Byzantine and Frankish invaders and established their own independent kingdom, which reached its peak of splendor in the eleventh century. The history of Croatia also had a civil war in 1089, which later led the country to be conquered by the Hungarians in 1091. Another anecdote from the history of Croatia was that by signing the Covenant Conventa by Croatian tribal chiefs and the Hungarian king in 1102, Croatia joined the two nations politically under the Hungarian monarch, but Croatia retained its autonomy, bringing some calm to the story of Croatia. 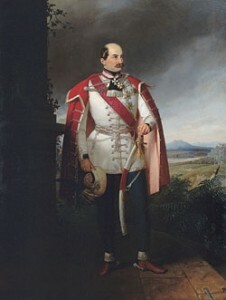 After the defeat of the Hungarians by the Turks at the Battle of Mohács in 1526, along with Hungary Croatia elected Austrian archduke Ferdinand of Hapsburg as their king. After the establishment of the Austro-Hungarian kingdom in 1867, Croatia became part of Hungary until the collapse of Austria-Hungary in 1918 after its defeat in the First World War. What is striking in the history of Croatia is that the October 29, 1918, Croatia declared its independence and took part in the union with Montenegro, Serbia, and Slovenia to form Kingdom of Serbs, Croats, and Slovenes. 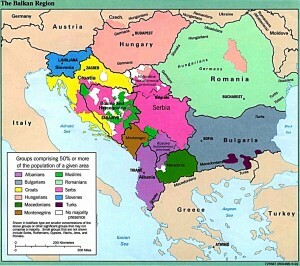 The name was changed to Yugoslavia in 1929. This date is remembered in the history of Croatia. When Germany invaded Yugoslavia in 1941, Croatia became a Nazi puppet state. Unfortunately for the history of Croatia, the Croatian Fascists, the Ustachi, killed many Serbs and Jews during the war.After Germany was defeated in 1945, Croatia became a Communist republic of Yugoslavia, however, Croatian nationalism persisted as throughout the history of Croatia. After the death of Yugoslav leader Josip Broz Tito in 1980, the Croatian demands for independence grew very strongly. Finally we have the history of Croatia in 1990, free elections were held, and the Communists were overthrown by a nationalist party led by Franjo Tudjman. In June 1991 the Croatian parliament passed a declaration of independence from Yugoslavia. Six months of intense fighting with the Yugoslav Serb army followed, and unfortunately for the history of Croatia lost thousands of lives and massive destruction run. Keywords: History of Croatia. Wars in Croatia. Croatian independence. Governments of Croatia. Croatia struggles. Croatian society. Territories of Croatia. Historic events in Croatia. Important events in Croatia. History of Zagreb.